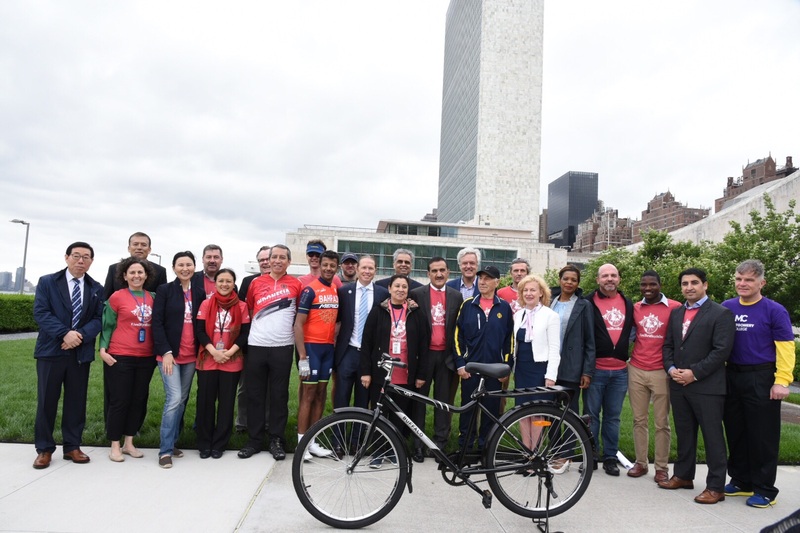 All speakers from the UN event in New York City during the first-ever World Bicycle Day on June 3, 2018. “In mobilized communities, visits to patients by community health workers have increased 45 percent; students have increased attendance by 17 percent and improved their academic performance upwards of 59 percent; and dairy farmers have increased their income by 23 percent by using a quality bicycle as a reliable transport for their milk. Growing up in Zambia, I can tell you that a bicycle can change a life…Providing a bicycle to a student for education is a blessing because the education you are giving them they keep forever and they will help change their community and the world. With my education, my goal is to become a public defender, helping those who need it most. More than a billion people do not have access to paved road. Mobility is a privilege. It is incumbent for all of us to recognize that cycling is a powerful form of mobility. We were riding mountain bikes in the Methow Valley during the celebration and happy to share it now.